The Belrose-Terrey Hills Raiders will host the Transplant Australia Football Club in the annual Charity Mixed Football Match this Saturday, March 3 at Wyatt Oval, Belrose at 4pm. Last year the Raiders took the honours 3-1, playing for the Doujon Zammit Shield, the shield named in the honour of the young Australian Doujon Zammit who saved multiple lives by becoming an organ donor, when he lost his life in Greece in 2008. His family, by honouring Doujon’s wishes to donate, inspired two nations to think more positively about the gift of life. 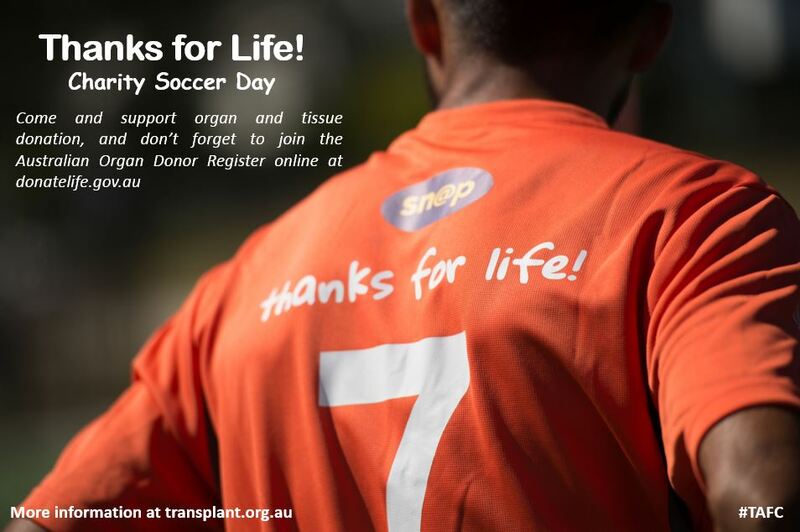 The Transplant Australia FC is the first and only team of its kind in Australia; a squad consisting entirely of those whose lives have been saved by organ and tissue donation. Players include kidney, liver, bone marrow, heart, double lung and cornea recipients. They take to the field to celebrate their second chance at life; to keep fit around their new organ, and inspire other recipients to play, and other Aussies to join the Australian Organ Donor Register. If you live in Sydney, why not come down and support the team and a great cause.